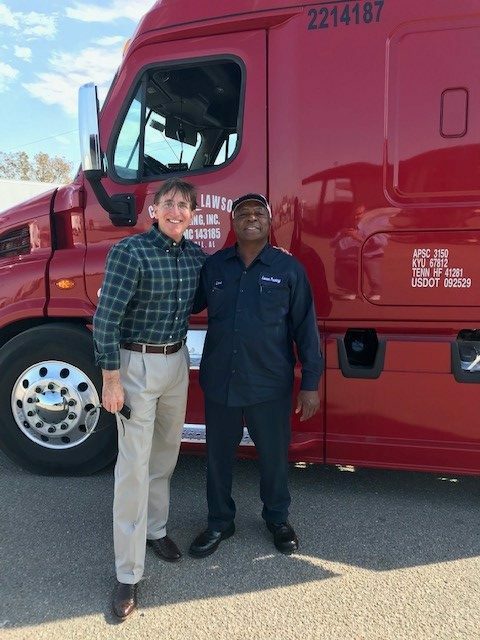 During a recent round of terminal visits, KAG President and CEO Bruce Blaise, had the pleasure of spending some time with Professional KAG Driver Love McQueen. Mr. McQueen has been driving for Lawson Trucking, a Kenan Advantage Group subsidiary, since 1986 and has driven over 2.5 million safe miles. “Love is an outstanding special teammate that is always here with a smile, ” shared Hope Hull, AL Terminal Manager, Dave Parillo. In his spare time, Mr. McQueen loves fishing, going to church and helping his family members with odd jobs. Love McQueen…Thank you for your 32 years of dedicated service to our company. You are the key to KAG’s growth and success! © 2018 Kenan Advantage Group, Inc.